During the Christmas break I was able to swatch the rest of my untried Picture Polish shades. Tonight I have four of them to show you. 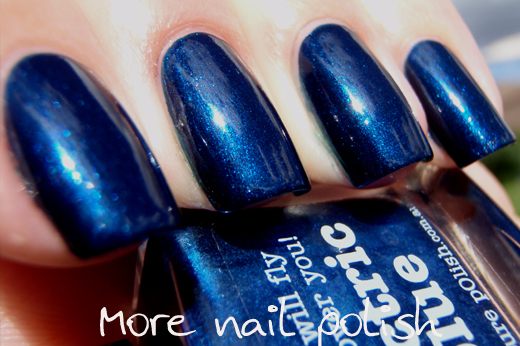 Electric Blue - a dark midnight blue with a bright blue shimmer. 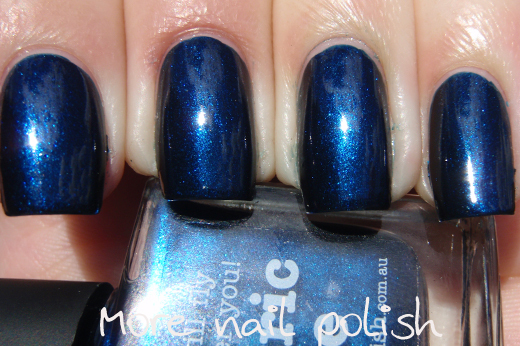 In the sun you can see the shimmer, but indoors this one is a rich dark navy blue. I love wearing this one as a base for glitters. 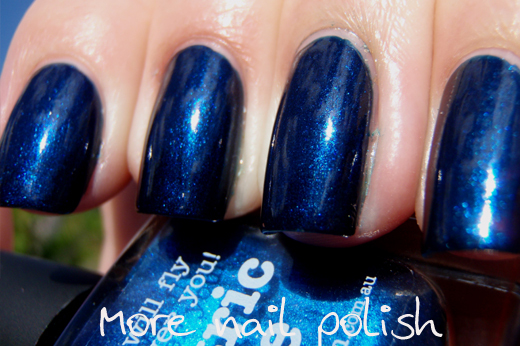 I love glitters over a dark base but I don't always want to use black, this one is great with blue glitters. I wore this under Picture Polish Splash. This is two coats with Seche Vite top coat. 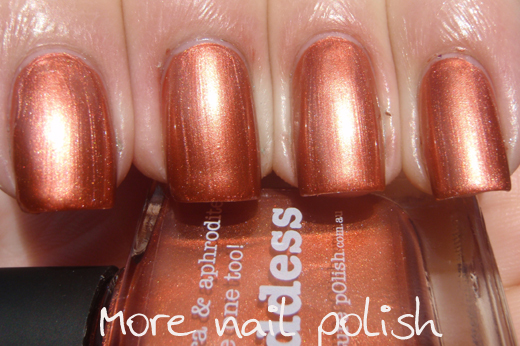 Goddess - a warm metallic copper shade that almost has the appearance of a chrome polish. The strong shimmer in this one can show brush marks and may be too frosty for some, but the uniqueness of this colour wins me over. This is two coats with Seche Vite. 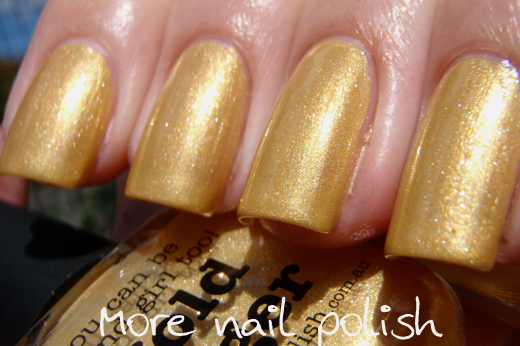 Gold Finger - a rich metallic yellow, which basically means its a metallic gold. It shows very slight brush marks but it applied smoothly and easily. This is two coats with Seche Vite top coat. Opal - a shimmery metallic gun metal gray, smooth and beautiful with excellent coverage. These photos make it look a bit streaky, but that is just cloud reflections in my shiny nails. 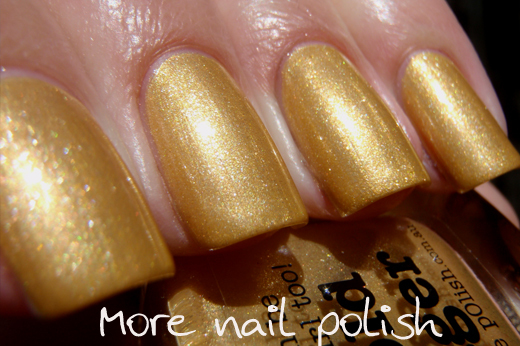 This one is also great for layering glitters over, I wore Picture Polish Ruby Blou over this. I've got another eight Picture Polish shades to share with you over the next week I'd love to spam you with them all in one post, but I just can't keep up with the swatching and daily posts if I don't separate them a little. 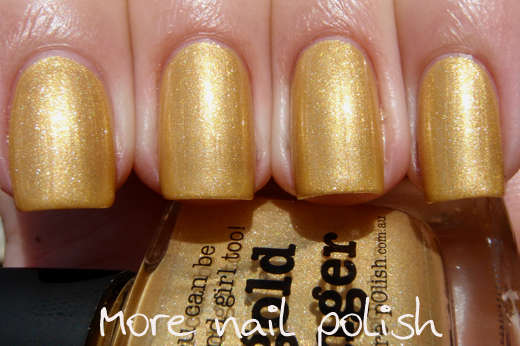 I'll also update the Picture Polish colour guide once I've posted all the shades. Nice swatches, some of these I hadn't even seen before. I think Electric Blue is my favourite out of the bunch. Oooohhh...I really like Opal. I don't even think I've seen it before now. My eyes basicly poped outta my head with that first blue! AH-MAZING!